The Old Glen Innes Road was constructed using civilian labour during the 1800s and just one highlight is the short tunnel carved out of the rock a few kilometres west of Dalmorton. Scrawled upon its ceiling is graffiti dating from the 1880s, written in black paint, each figure finished with a curl so typical of the era. But first things first: Heading west out of South Grafton finds you on the Gwydir Highway. Travel about seven kilometres along until you reach the top of the hill and take the left hand turn onto the Old Glen Innes Road. Follow this good quality sealed road for 40 kilometres until it turns to gravel at the locality of Buccurumbi. Cross the low level bridge that sits beside the remains of its flood stricken predecessor at the picturesque junction of Nymboida and Boyd Rivers. 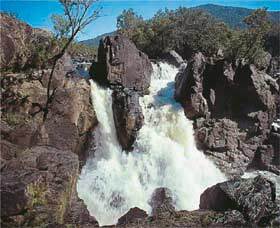 Located within one and a half hours drive, north-west of Grafton is this rugged gorge where thundering waterfalls and savage rapids intermingle with deep pools and sections of calm water. The scenery is breathtaking and the fishing is excellent. There are three main waterfalls and the Rainbow Falls live up to their name on sunny days. There are guided 4WD tours available but most visitors enjoy overnight stays at one of the properties that line the gorge. 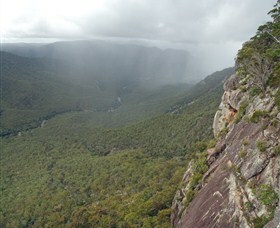 It must be emphasised that the Clarence Gorge is enclosed by private property on both sides. 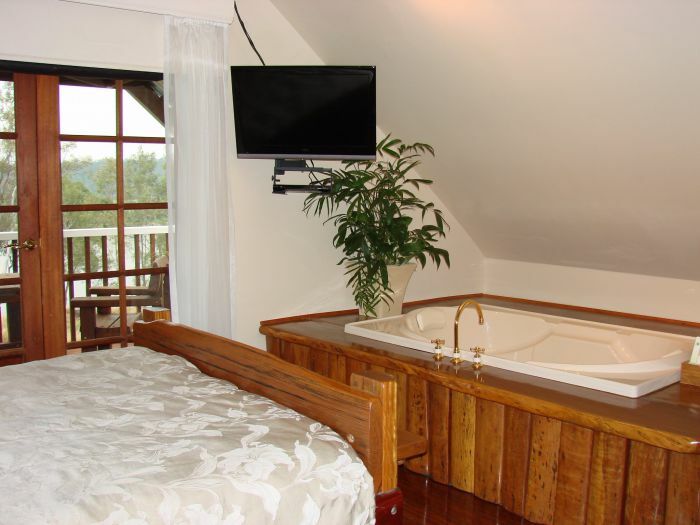 These properties operate as farm stay businesses and can accommodate campers. Please contact the Clarence River Visitor Information Centre in Grafton to obtain these operators details. A visit to the gorge cannot be achieved in a few hours without any planning and prior arrangements, but those who make the effort are inevitably inspired by their adventure. 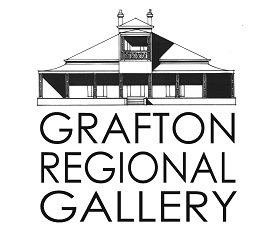 Set in the restored 1880s Prentice House, the Grafton Regional Art Gallery is the Clarence Valley's premier visual arts centre. The Grafton Regional Gallery holds the largest collection of artworks on the North Coast of New South Wales, and continues to develop its vibrant collections. The Gallery presents over 40 exhibitions and 70 programs and events each year. The gallery's collection focuses on the acquisitions from the Biennial Jacaranda Acquisitive Drawing Award (JADA). The JADA fosters Australian contemporary drawing practice, and as a result, the collection holds many fine examples of Australian drawings. It also includes the historical O'Grady watercolour collection of Australian flora and fauna. Purchase unique, quality gifts at the gift shop. Christ Church Cathedral was build in 1884. It was designed by John Horbury Hunt along Gothic lines with towering arches, beautiful stained glass windows and spacious interior. The Cathedral is open daily and visitors are most welcome. This is one of Grafton's many buildings classified by the National Trust. There is a Christian Bookshop on site. Visitors are most welcome with guides available for groups and coaches. The Bentleg Market and Gallery specialises in high quality art and souvenirs. 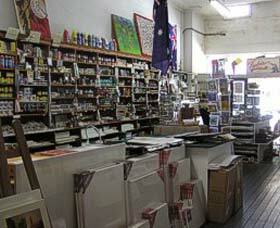 They carry an extensive range of quality paintings and Aboriginal artefacts. 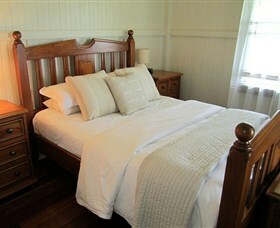 Australiana items are also available. They also stock Grafton's largest supply of souvenirs and fine art supplies. 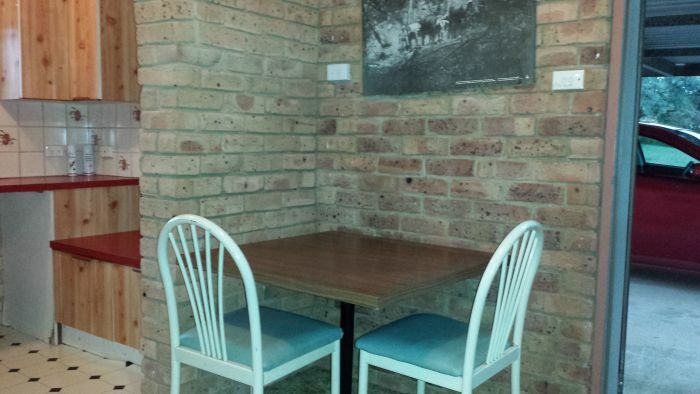 A perfect place for the crafty person to purchase some great products for the creative ventures. Come in and check out their amazing stock that's on display. The Clarence River, being the largest river on the eastern seaboard, lends itself to extraordinary estuary fishing. 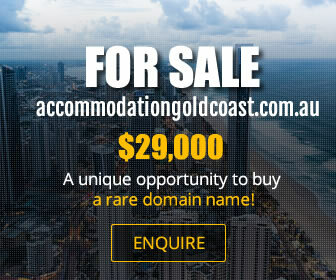 It is a living link between the rugged highlands of the upper Clarence and the golden beaches that fringe the sparkling Pacific. It winds through deep ravines and broad plains, ancient forests, lush farmland, sleepy villages and 100 chartered islands. Over 400 kilometres from source to sea, the Clarence is one of Australia's largest waterways. 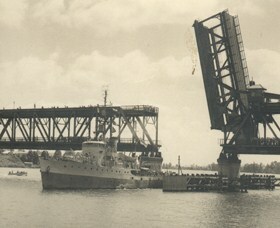 It was once the region's main trade route and several ferries still link the River's islands and rural villages. The mighty Clarence River is an attraction not to miss whilst holidaying in the Clarence Valley. 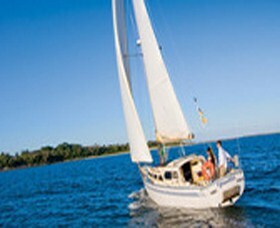 River descriptions and maps of boating routes with GPS coordinates, campsite options, points of interest and towns with amenities are to be found in The Sailing and Cruising Guide, which can be picked up from the Visitors Centres in Grafton and Maclean. Grafton is a beautiful city of tree-lined streets, and graceful, early colonial buildings featuring Victorian and Edwardian architecture, on the banks of the mighty Clarence River. Grafton was the early centre of development in the Clarence Valley being gazetted as a municipality in 1859 and was declared a city in 1885. Many buildings have been classified by the National Trust including the notorious Grafton Gaol and the Christ Church Cathedral. Explore the rich history the city of Grafton has to offer with a unique Special Interest Brochure. Visit over 25 historical sites around the city and then return to the Visitor Information Centre to see some amazing local art. 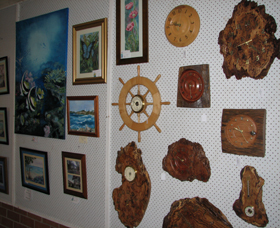 The Clock Tower Gallery is located in the Clarence River Visitor Information Centre in South Grafton. It is the only outlet in the Clarence Valley for the beautiful works produced by the Members of the Gallery. Many pieces of skilled woodwork and leatherwork are for sale. There are paintings of many different mediums and styles. Members of the Clock Tower Gallery have a market day at the Visitor Centre on the first Saturday of each month (no market day in January) . This is a perfect place to shop for a unique gift for that special someone.